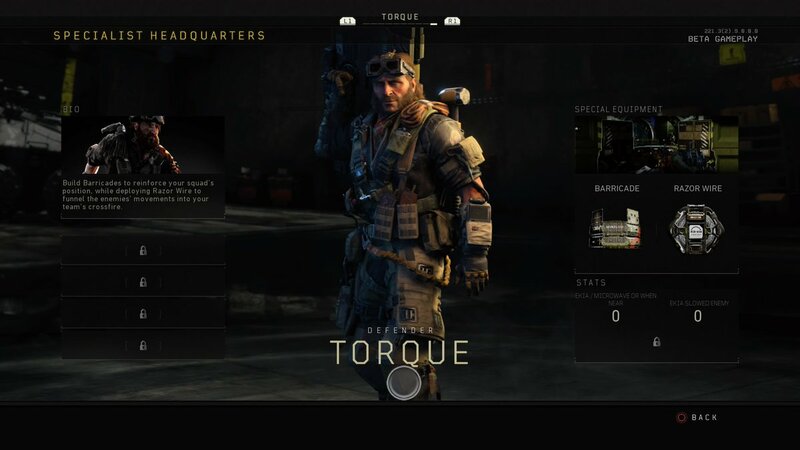 It's no secret that a lot of Call of Duty fans are looking forward to the Black Ops 4 private multiplayer beta, which is now live on PlayStation 4. But one in-game component that prospective players have had their eyes on in particular are the Specialists. 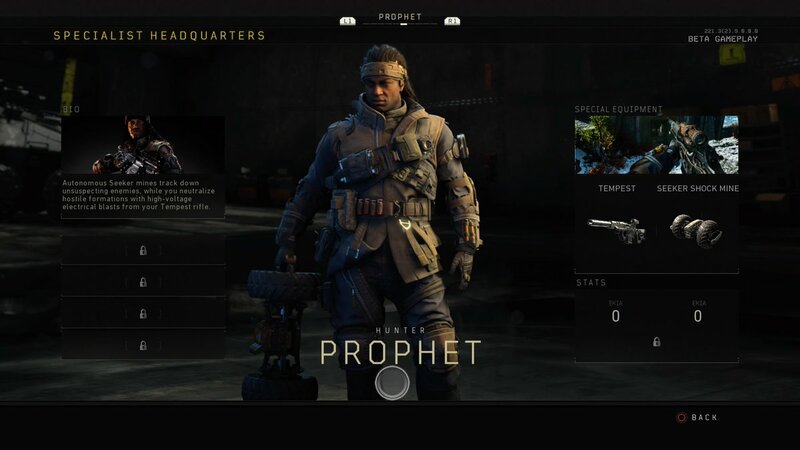 Specialists are in-game characters who each have a unique ability and weapon that can be used in multiplayer. 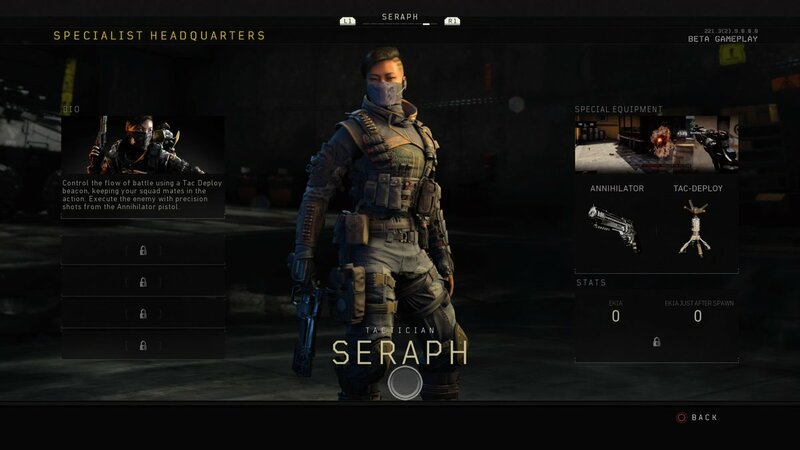 There are 10 Specialists that players can test out in the Black Ops 4 private multiplayer beta at this time. Here are all of the Specialists, as well as their Special Issue Equipment and Special Issue Weaponry. This tactical grenade flashes and stuns enemies. It can also be cooked for multiple detonations. 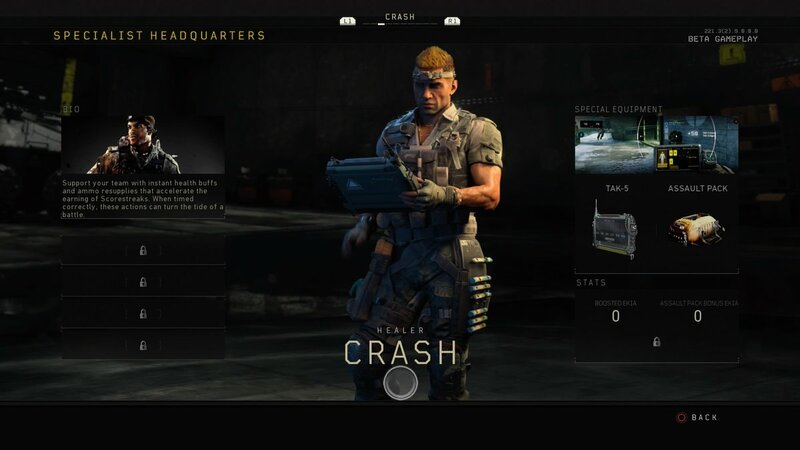 The Ballistic Shield is a "durable transforming defensive shield with a built-in machine pistol." This grenade "sticks to surfaces and releases sub-munitions upon detonation." Black Ops III players should definitely recognize this grenade launcher. This ability provides ammo packs that grant bonus score for taking down enemies. The TAK-5 "heals and boosts max health for the user and their team." This sounds a little bit like Heat Wave from Black Ops III. The Reactor Core "emits a damaging radiation field that wounds enemies and reduces their maximum health for a time and prevents healing." 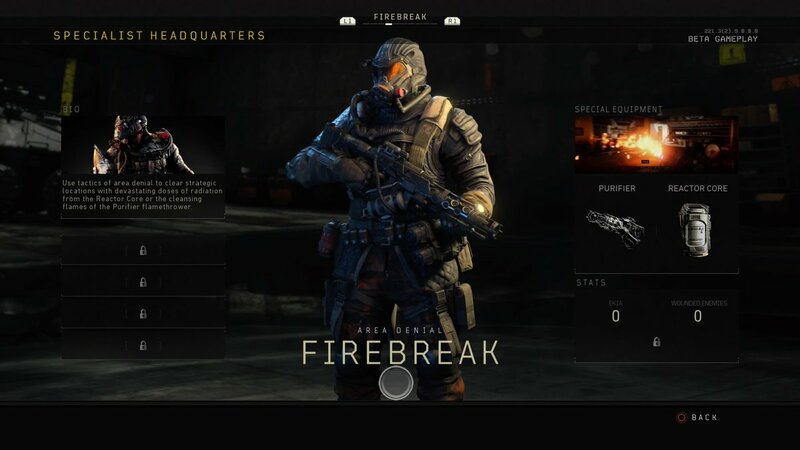 This flamethrower is another weapon that's returning from Black Ops III. These explosive traps can be connected to create lethal tripwires. This "weapon" is an attack dog. It can "be commanded to follow you or patrol a designated location." This "deployable tactical" can hunt down your opponents and shock them with "temporary paralysis." 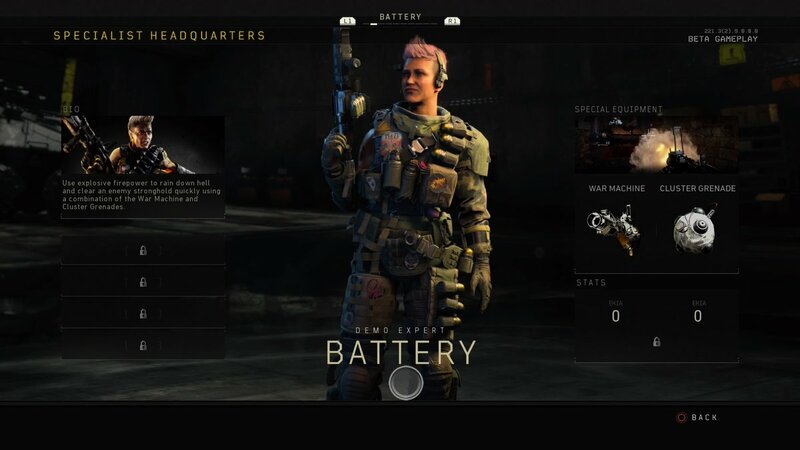 The Tempest is another Specialist weapon returning from Black Ops III that can electrocute enemies. This piece of equipment "reveals enemies within its proximity." 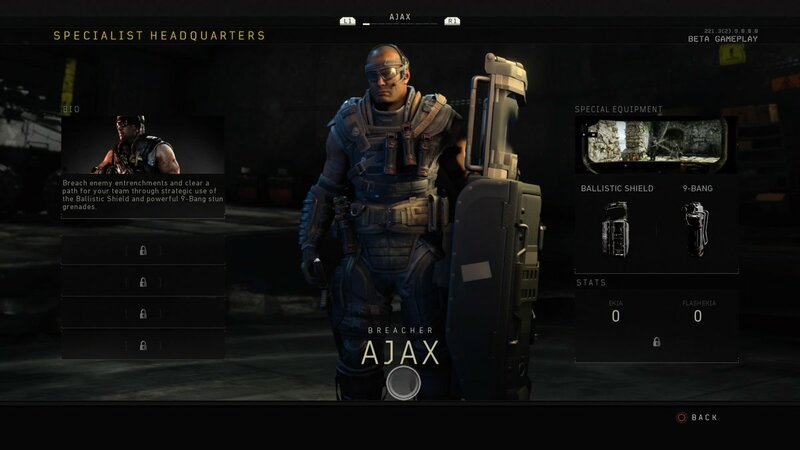 Vision Pulse also returns from Black Ops III. 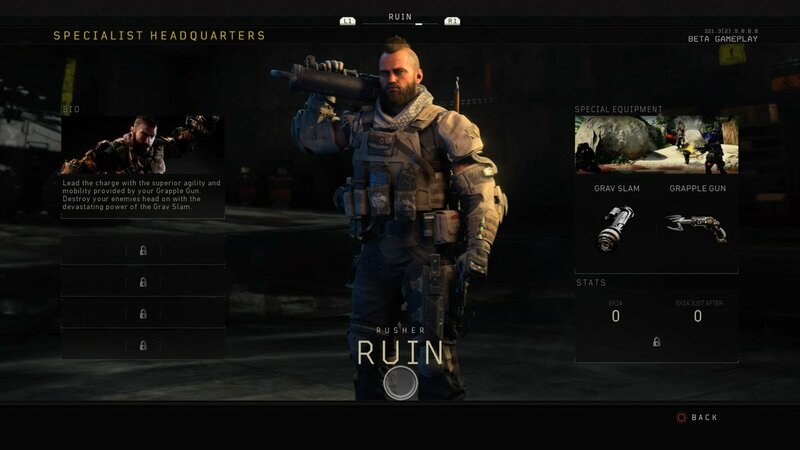 It allows you to "pulse the map to reveal all the enemies for yourself and teammates." As the name suggests, this piece of equipment allows you to "quickly grapple and zip" around the map—kinda like Batman. Similar to the Gravity Spikes from Black Ops III, the Grav Slam creates a lethal blast at the point of impact. 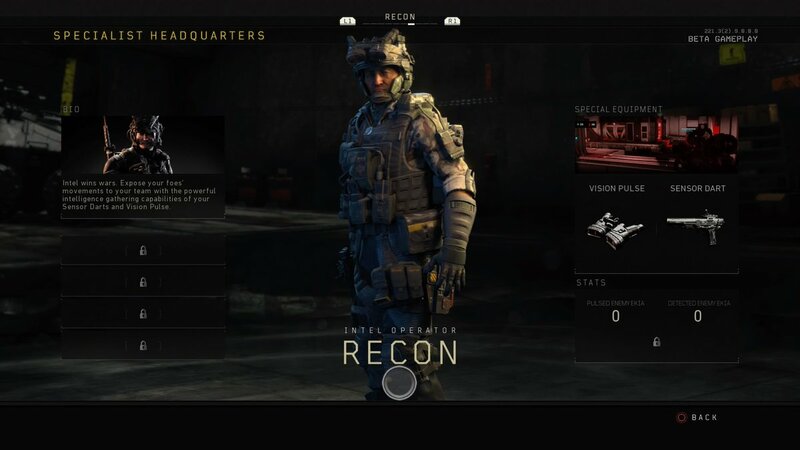 This ability allows you to drop a beacon where your teammates can respawn in the surrounding area—similar to the Tactical Insertion from previous Call of Duty titles. Black Ops III players will recognize this powerful revolver that can kill enemies in one shot. As the name suggests, this ability allows you to place razor wire down that can damage and slow enemies. This powerful shield can provide cover while taking objectives. It also has a "built-in microwave field" that slows and hurts opponents. 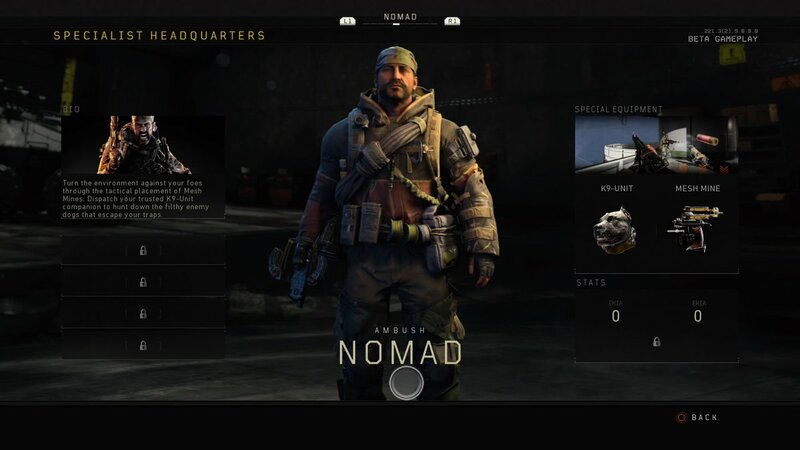 The Black Ops 4 private multiplayer beta is scheduled to be available on PS4 until 12pm CT on Monday, Aug. 6. A second week will then be held on PS4 and Xbox One from Aug. 10 to 13.